More women are taking GMAT in India according to Graduate Management Admission Council’s latest profile of candidates. 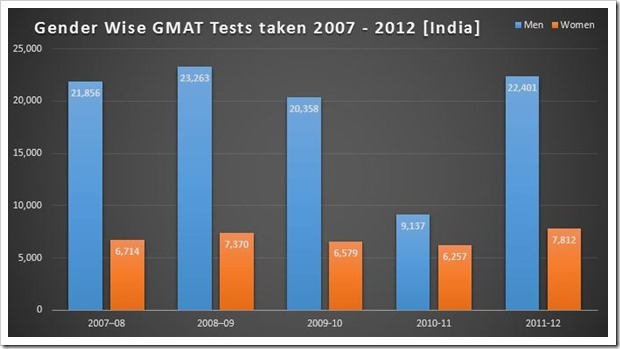 A total of 30,213 candidates took the GMAT test in India in 2012 out of which 7,812 were women. 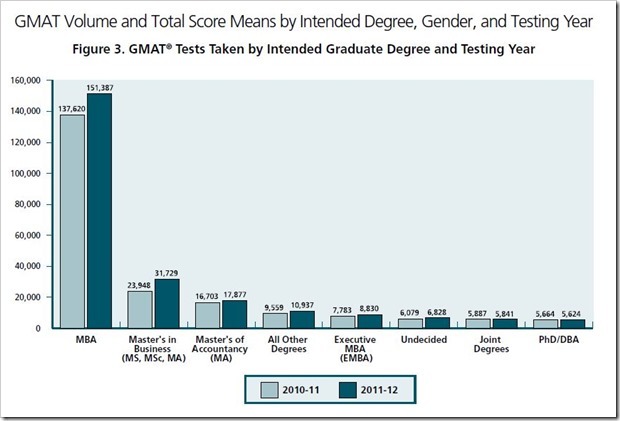 24.85% more number of women took the GMAT exam in 2012 as compared to 6,257 in 2011. 1.18 lakh Americans took the GMAT exam while 58,196 Chinese candidates sat for the test in 2012. US and China were the largest and second largest citizenship bases for GMAT respectively. With 30,213 Indian candidates sitting for GMAT, India was the third largest citizenship base in the world. GMAC’s insights also reveal that 46.42% of all candidates appearing for the GMAT exam in 2012 were aged between 24 and 30 years. The second largest age group comprising 38.18% of all candidates was 24 years old or younger, a category that has witnessed a 61.10% spike in applicants in the last five years. Statistics also reveal that slightly more than half of all candidates took the GMAT test for MBA programmes across the world. Other candidates who sat for the test intended to go for other programmes including MA, MSc, Masters of Accountancy and PhD. Currently it costs $250 or approximately Rs. 13,500 to take the GMAT test. GMAT was traditionally seen as an exam taken by Indian students looking to go overseas. This was due to the fact that the test is mandatory for most masters programmes in US. GMAT scores are accepted in more than 5,200 programs worldwide. According to GMAT’s website, the exam’s scores are accepted in over 150 programmes by more than 80 business schools in India including the IIMs, ISB Hyderabad, XLRI Jamshedpur, SP Jain Institute of Management & Research Mumbai, Narsee Monjee Institute of Management Studies Mumbai and IMT Ghaziabad. A total of 2.87 lakh GMAT tests were administered worldwide in 2012 out of which 42.87% or 1.23 lakh candidates were women. In 2012 only 25.85% of Indian candidates appearing for the GMAT exam were women. In comparison, 39.29% and 64.8% of American and Chinese candidates were women. Despite the increase in the number of women taking the GMAT exam in India, the disparity in numbers seemed evident. Commentators have said that female applicants tend to seek programmes of shorter durations as opposed to full-fledged 2 year courses. An increase in the number of one-year management courses offered by various management institutes in India including the IIMs is presumed to be one of the drivers leading to an expansion in the female candidate base. Ranked 5th, Padma Bhushan recipient and CEO & MD of ICICI Bank Chanda Kochhar is the lone woman battling it out in ET’s top 10 most powerful CEOs. She completed her masters degree in Management Studies from Jamnalal Bajaj Institute of Management Studies in Mumbai. Commentators are hopeful of more women making it to boardrooms and helms of companies in corporate India in the future as the female candidate base for entrance tests like GMAT expand. Great post. It’s always good to see women bridging the gap and increasing participation in the GMAT.